Dr. Christopher J Superczynski, MD is a Doctor primarily located in North Providence, RI. He has 22 years of experience. His specialties include Internal Medicine. He speaks English. Dr. Superczynski has received 3 awards. The overall average patient rating of Dr. Christopher J Superczynski is Great. Dr. Christopher J Superczynski has been rated by 71 patients. From those 71 patients 19 of those left a comment along with their rating. The overall rating for Dr. Christopher J Superczynski is 4.2 of 5.0 stars. Terrible Office Staff, Excellent Dr. I would give Dr. Superczynski 5 stars if it wasn't for his office staff. They are really lackadaisical. You have to continually stay on top of them and they never answer the phone so you continually have to leave messages over and over. It's to bad because the Dr. himself is excellent but his choice in staff leaves a lot to be desired. He needs to clean house in his office. With much Regret I have left North Providence Primary Care. My Doctor was Dr. Superczynski my doctor is a good Doctor I just could not take it anymore with his office help mistake after mistake . Had a test done in July 22 , 2017 was not called about the test until August 23 ,2017. Test did not come back good needed surgery. I did bring this matter to the doctor attention . When I went for another test the doctor who did the test could not get in touch with my Dr. to let him know that I would need surgery. The doctor who did the test call Dr Superczynski for five days did not reach him. Needed to tell him what was wrong with me and also needed a referral . I don't think that the doctor ever got the message from the doctor who did the test on me , which goes back to the office help . I did talk to Dr. Superczynski and told him what happen I also told him that he needed all new staff . NOT Friendly Staff at all!! they all need to be fired. The Doctor needs to get new staff in his office people who answer the phone. people who call you back, people who care for people who are sick, they just don't care. I am very happy with my new primary care doctor and his staff . EXCELLENT IN ALL REGARDS !! DR SUPERCYZNSKI is a walking medical genius with a friendly personality and manner at all times . We can not say enough about his practice and the service to us in the Woonsokcket office is also excellent . We would not consider ever using the services of any other doctor at all . Dr. Superczynski is a kind, compassionate doctor. My folks have gone to him for over 20years and they would not go anywhere else. Great doctor i am going to try to visit another one of his offices. The staff in Woonsocket is extremely rude. 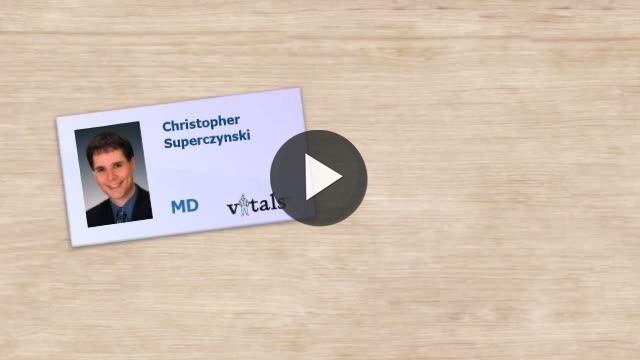 Take a minute to learn about Dr. Christopher J Superczynski, MD - Internal Medicine in North Providence, RI, in this video. Dr. Christopher J Superczynski is similar to the following 4 Doctors near North Providence, RI. Have you had a recent visit with Dr. Christopher J Superczynski? Select a star to let us know how it was.